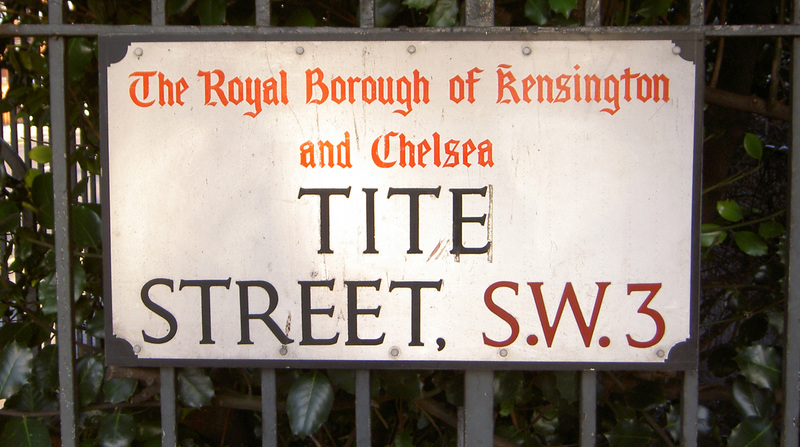 In London, Oscar Wilde lived at 34 Tite Street, Chelsea with his wife and two sons Cyril and Vyvyan. One of his favourite haunts, The Cadogan Hotel is on Sloane Street. Born in Dublin in 1854, Oscar Fingal O’Flahertie Wills Wilde was the son of an Irish surgeon and an eminent poetess and supporter of women’s emancipation. During a flamboyant career at Oxford, Oscar established himself as the leader of a new aesthetic movement, becoming as celebrated for his lifestyle and brilliantly witty conversation as for his scintillating comedies and satirical novels. 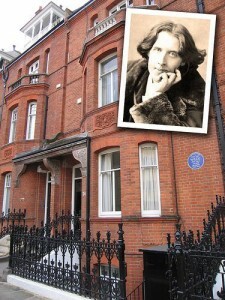 In 1884, Wilde married Constance Lloyd and came to live at 16 (now 34) Tite Street. World famous artist Whistler lived a few doors away and decorated the Wilde’s drawing room ceiling in a peacock feather design and was a frequent visitor to the house. Other distinguished guests who called here during the early years of Wilde’s happy marriage included Ellen Terry, Ruskin, Swinburne, Henry Irving and, of course, the poet, Alfred Douglas, son of the Marquis of Queensberry. The relationship between Wilde and Douglas drove the irascible Marquis to frenzied action. After libellous letters to his son that provoked no result, he called on Wilde at Tite Street where he was met with amused distaste and asked to leave. 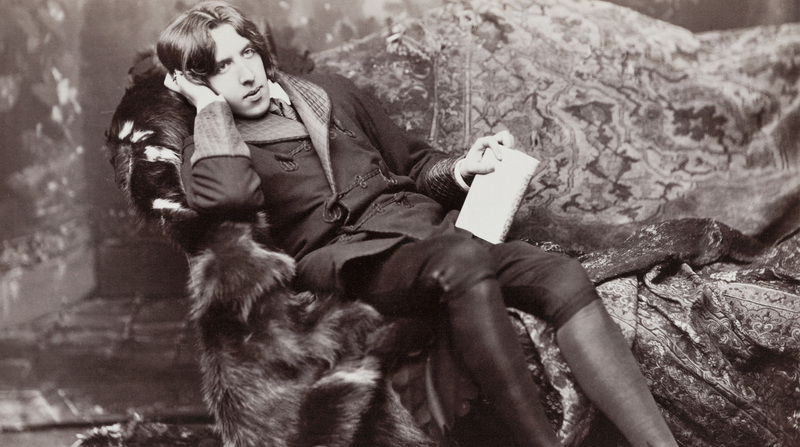 Queensberry’s offensive card left at Wilde’s club provoked a suit for criminal libel and marked the end of Wilde’s career as playwright and wit. He lost the case and left open to serious charges. Warned by his friends what might happen, he refused to leave London for the continent. Wilde waited at one of his favourite haunts, The Cadogan Hotel on Sloane Street (currently undergoing a significant restoration and due to reopen in 2017), for events to take their course and was arrested there on a charge of committing indecent acts. After a spectacular trial, he was found guilty and sentenced to two years hard labour. The house in Tite Street was sold to pay Wilde’s debts and after serving his sentence in Reading Gaol he spent the rest of his life in France.